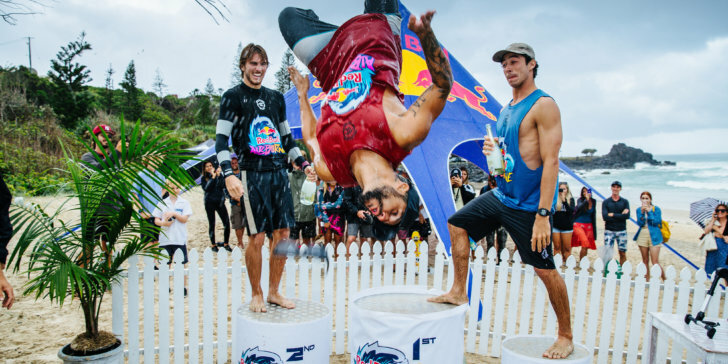 Italo Ferreira (BRA) celebrating his win at the Red Bull Airborne Gold Coast. COOLANGATTA, Queensland/AUS (Thursday, April 4, 2019) – The first event of the women’s World Surf League (WSL) Championship Tour (CT) season, the Boost Mobile Pro Gold Coast, kicked off today after a three-month offseason. The world’s best surfers started the day at Duranbah in three-to-five foot (1-to-1.5 metre) conditions, completing Rounds 1 and 2. Following the women, men’s elimination Round 2 said goodbye to its first four competitors. The day ended with the high-flying action of the Red Bull Airborne Gold Coast, which saw Italo Ferreira (BRA) claim the win. 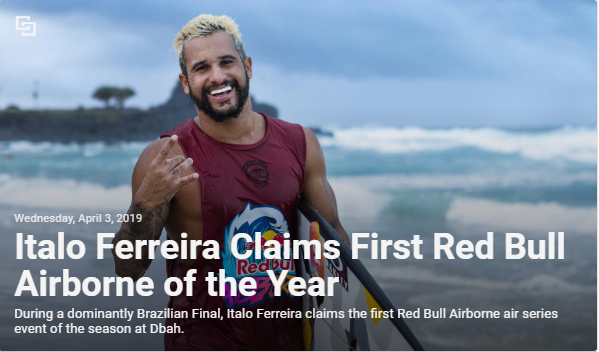 Today, Italo Ferreira (BRA) won the Red Bull Airborne Gold Coast, a WSL specialty event that highlights aerial surfing. The 24-year-old is known for his creative antics in the air, landing some of the Championship Tour’s biggest maneuvers and setting the bar for above-the-lip surfing. Ferreira brought his same flair into today’s air show to light up Duranbah and take home the win. To make the Final, the Brasilian battled through the 18-surfer field in a leaderboard-scoring format for a place in the top six alongside finalists Filipe Toledo (BRA), Yago Dora (BRA), Mateus Herdy (BRA), Reef Heazlewood (AUS), and Mitch Parkinson (AUS). 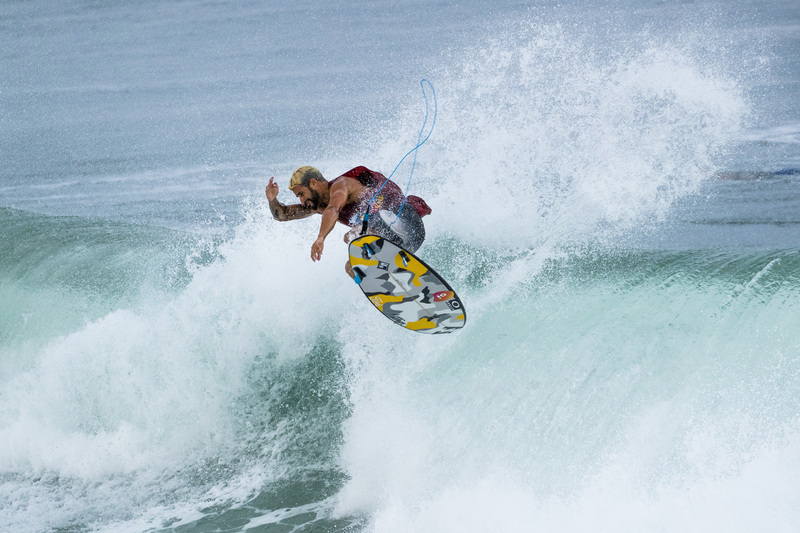 Ferreira landed a frontside air-reverse to earn the specialty event win. 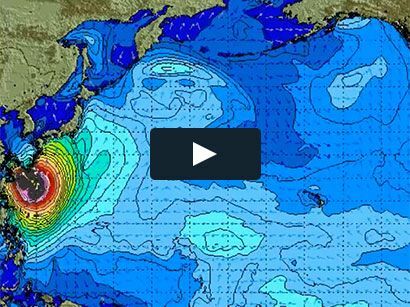 Ferreira will now prepare for his next heat in the Quiksilver Pro Gold Coast. Event wildcard Isabella Nichols (AUS) shines in Round 1 of the Boost Mobile Pro Gold Coast. Wildcard Isabella Nichols (AUS) was not flustered by Stephanie Gilmore (AUS) and battled with the reigning, seven-time WSL Champion throughout the heat alongside Paige Hareb (NZL). Nichols’ CT debut was nothing short of tactful and displayed the grit Qualifying Series competitors possess heading into the five-minute mark, by posting a 5.60 (out of a possible 10) under pressure from Gilmore. With a second-place finish in Round 1 Heat 3, Gilmore will also advance to Round 3. She will face 2019 CT Rookie Macy Callaghan (AUS) next in the head-to-head, elimination round. Lakey Peterson (USA) made an incredible statement in 2018, going toe-to-toe Gilmore’s Title campaign all the way to Maui, and renewed that intensity today coming into the 2019 season. The Californian left no doubt in her win over injury replacement Sage Erickson (USA), who will also advance into Round 3, and Coco Ho (HAW). Unlike the men’s rookie class spoiling yesterday’s proceedings on opening day, Brisa Hennessy (CRI) and Callaghan got a taste of what it takes to compete among the world’s best as both were relegated to Round 2, despite a few shining moments. Hennessy fell to a dominant performance from Tatiana Weston-Webb (BRA), who posted an excellent 8.33 (out of a possible 10), leading to a 15.16 heat total (adding top two wave scores, out of a possible 20). Malia Manuel (HAW) had no intention of an early exit and locked in a second-place finish behind Weston-Webb to advance to Round 3. Finishing last in the heat, Hennessy was relegated to elimination Round 2 where she handled the pressure against Hareb and Ho to win Round 2 Heat 2. The rookie’s heat win puts her back in the running at the Boost Mobile Pro, eliminating Hareb in Equal 17th place. Rookie Callaghan started strong in her full-time CT rookie debut with a quick lead against Courtney Conlogue (USA), who she faced in the 2018 Roxy Pro France Final, and Johanne Defay (FRA). Callaghan’s lead was short-lived with Defay and Conlogue finding their rhythm and placing ahead in Round 1. In Round 2 Heat 1, the newcomer found redemption with a runner-up result behind Sally Fitzgibbons (AUS) and overtaking Keely Andrew (AUS), the 2018 event runner-up. 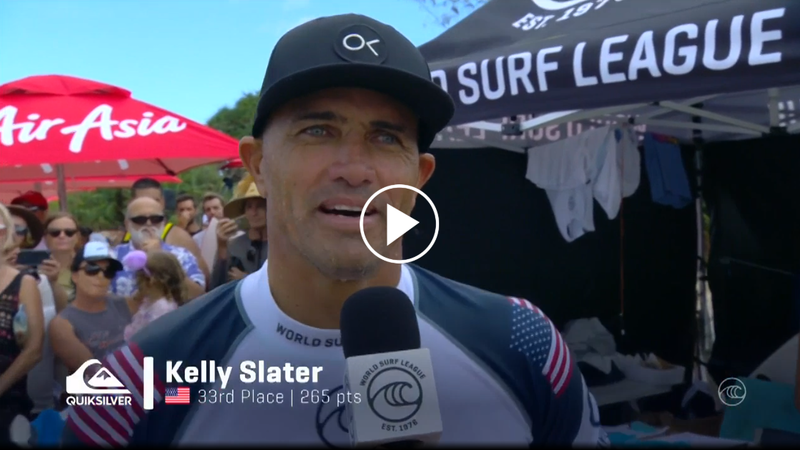 2019 CT Rookie Peterson Crisanto (BRA) helped send shockwaves through the event proceedings after helping eliminate 11-time WSL Champion Kelly Slater (USA) alongside veteran Owen Wright (AUS), who took the Round 2 heat win. Reigning World Junior Champion Mateus Herdy (BRA) also caused trouble of his own with a big Round 2 heat win over last year’s World Title contender Julian Wilson (AUS) and simultaneously eliminating Italy’s Leonardo Fioravanti. Jordy Smith (ZAF) and Ricardo Christie (NZL) showcased their innovative and powerful styles to overcome Caio Ibelli (BRA) in Round 2 Heat 2. Finishing Round 2, Willian Cardoso (BRA) took over for a vital win alongside Sebastian Zeitz (HAW) advancing to eliminate Jadson Andre (BRA). 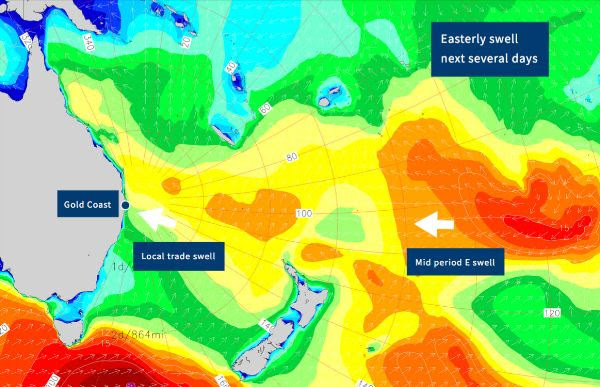 The next call for the Quiksilver Pro and Boost Mobile Pro Gold Coast will be tomorrow at 6:30 a.m. AEST, when event organizers will assess the conditions to decide the event’s location and schedule.